Several friends and colleagues have brought my attention to the recent .UK Domain report* that crowns Oxford as top for entrepreneurs who are searching online for a location to start a business. Based on analysis of online demand for local services versus available supply, this annual survey reveals the cities where consumer demand is not being met. To me, the reason entrepreneurs and inward investors are attracted to Oxford is to become part of a dynamic business community of global multinationals and SME’s. Our business client base in the city has grown significantly in the last five years, with a larger proportion of growth-stage firms and larger firms drawn to our region’s culture of innovation, unique talent pool and key location for national and global business. Take the technology sector, where we have many clients who are SME’s, larger firms and inward investors. Oxford is one of the UK’s official technology clusters, as recognised by TechNation in its annual report on the national digital sector. And its position is strengthening: in 2016 it became one of the six clusters attracting 68% of total investment in UK digital technology, with £106 million invested in the city’s digital sector. In the same year, Oxford University Innovation, which handles commercial spinouts, launched an unprecedented 24 high-tech firms and raised £52.6 million in seed stage funding. 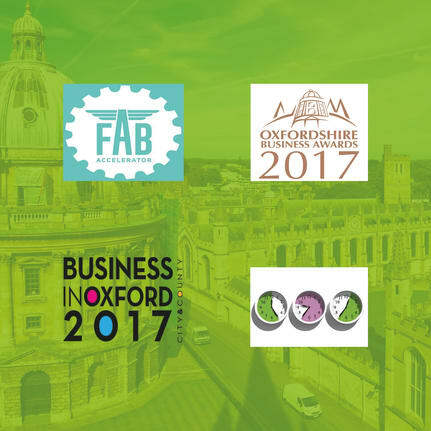 The buoyancy of Oxford’s business sector is reflected in the growing number of events, exhibitions and networking groups. We’re a community which has a seemingly endless appetite for sharing knowledge and networking. When it comes to nurturing tomorrow’s top business performers, the TechNation report cites Fab Accelerator as ‘one to watch.’ Shaw Gibbs is proud to support this dynamic training programme for budding entrepreneurs. Led by Fabulous Bakin’ Boys founder Gary Frank and a team of talented marketers and financiers, Fab Accelerator has already trained over 20 owners of startup businesses and is now into its third cohort. Each June Shaw Gibbs co-hosts Economic Question Time, in which an expert panel of business leaders and policy makers join with HSBC Head of Economics for UK Commercial Banking Mark Berrisford-Smith for a lively discussion on the economic issues the region is facing. Exhibitions such as Business in Oxford and Venturefest showcase the array of SME’s, multi-nationals and entrepreneurs that make up our dynamic regional economy. And, as an integral part of the Oxfordshire Business Awards, we see the caliber of candidates reach higher each year. There is no doubt that Oxford is the place to be when it comes to growing a business. What’s so encouraging about the .UK Domain report is that, despite the unbridled entrepreneurial energy that abounds in and around Oxford, there is clearly still room - and the appetite - for much more.